“Weird” Snacks in Hawaii Explained! Now that I’ve been a local for a while, strolling along the shelves at my local Longs drugs and checking-out all the “weird” snacks in Hawaii doesn’t phase me a bit. In fact, my middle child is a BIG fan of all those potent bagged snacks — I believe she’s a local now! Senbei is another unusual Hawaii treat that is as tastey as it is colorful. Li Hing Mui: If you’re looking for a local snack along the candy aisle, you’ll probably see lots of bags that say, “li hing mui.” It’s actually is salty dried plum, and here in Hawaii, we like to add it to just about anything! You’ll mostly find li hing mui added to gummy candies. But, you might also see it by itself (with or without seeds). Li hing mui has a strong, distinctive flavor, and is often said to be an acquired taste, as it has a combination of sweet, sour, and salty taste. It has also been described as tart, and even tangy. Crack Seed: Crack seed are basically preserved fruits that have been cracked or split with the seed or kernel partially exposed as a flavor enhancement. 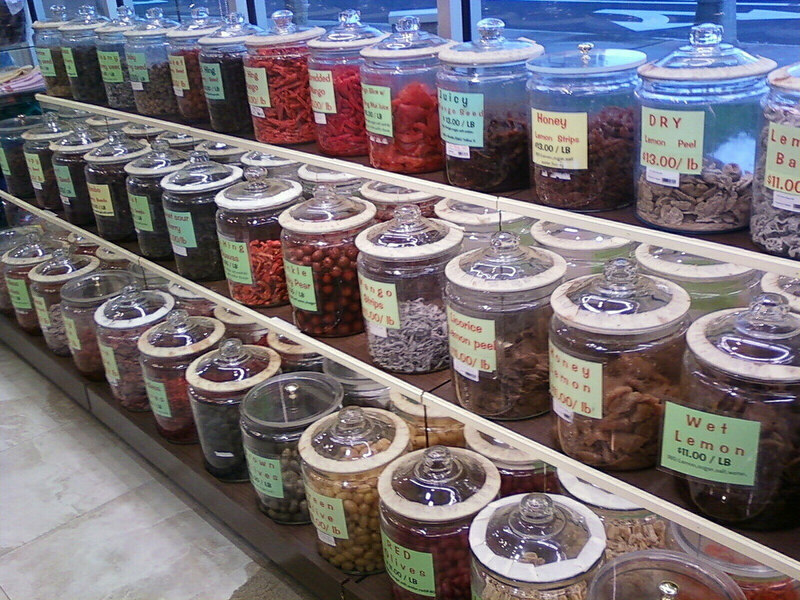 The flavors are varied, ranging from extremely sweet and salty to sour flavors. Flavors can include rock salt plum, honey mango, licorice peach, or any kind of combination of fruits, flavors and type of preservatives used. You can find them on shelves at just about any of our local grocery and drug stores. Crack seed comes in many different varieties and can be an overwhelming choice for those unfamiliar. Kaki Mochi: Kaki Mochi is also known as Arare, and it’s a type of bite-sized Japanese cracker made from glutinous rice and flavored with soy sauce. If you’re heading to an outdoor activity, such as a hike on Haleakala, horseback riding, or a sightseeing tour, grab a bag of kaki mochi and head off! Or, if a movie is on your vacation agenda, you can probably find this tasty snack at the snack bar. Mochi: You can’t leave Hawaii without trying mochi (mochi ice cream included). Mochi is Japanese rice cake made of mochigome, a short-grain japonica glutinous rice. The rice is then pounded into paste and molded into the desired shape. Even at our local Costco, you can find mochi ice cream, which is ice cream surrounded by mochi. 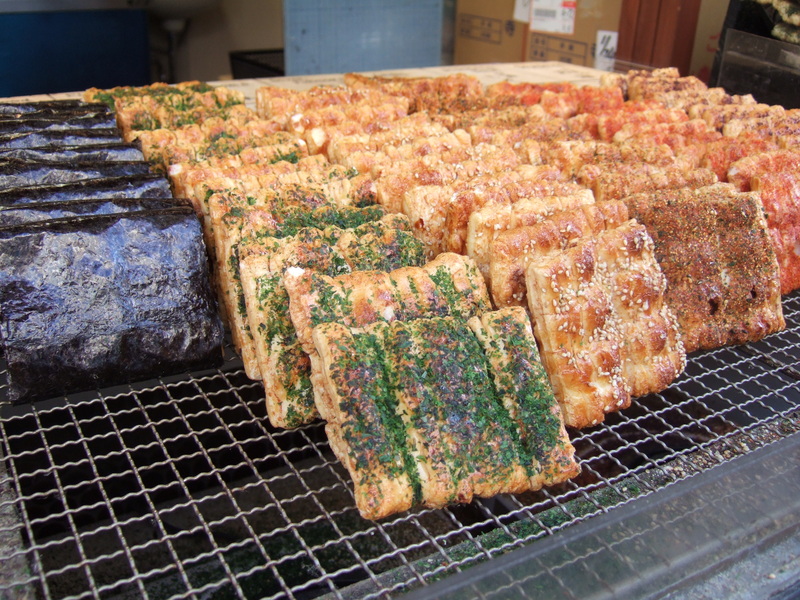 Senbei: Senbei are a type of Japanese rice crackers. They come in various shapes, sizes, and flavors, usually savory but sometimes sweet, and you can also find them at our local Costco. They’re a great snack to bring along to the beach or pool, since they’re usually individually wrapped. Use our handy guide will help you navigate the world of our “weird” snacks in Hawaii, and enjoy!